Today is March 19th, which in Italy is Saint Joseph’s Day, which is also Father’s Day. Since in my extended family there are three Giuseppe and several fathers, the day calls for a special treat. 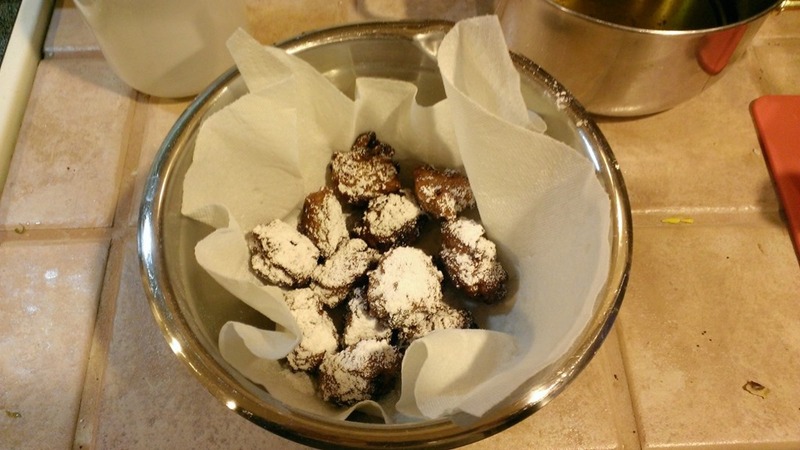 There’re several kind of sweets baked or deep fried on Saint Joseph’s Day, mine are based on a family recipe and they’re quite easy to make. But, first thing first: Auguri, Papa’, e Buon Onomastico! 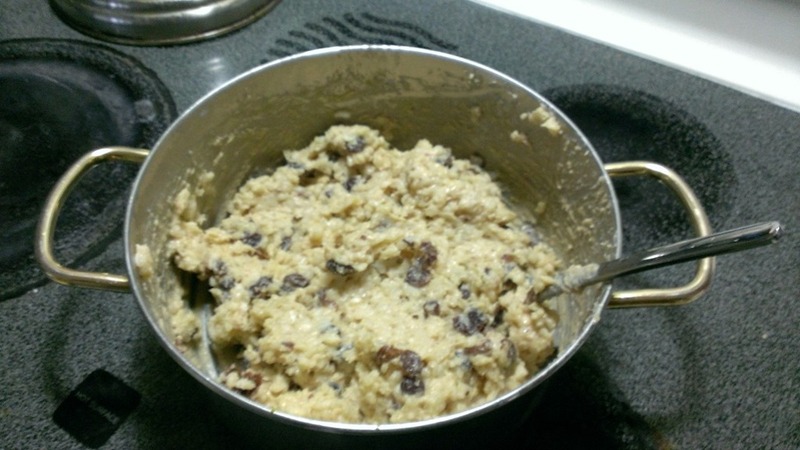 Mix in a pan rice, sugar, raisins, and milk. Let it cook at low temperature until the liquid is absorbed and the rice is done. If necessary, add milk and let it cook some more. When it’s done, cover the rice and let it rest for one hour. Then, add the lemon zest, the egg, and the flour. Mix thoroughly. 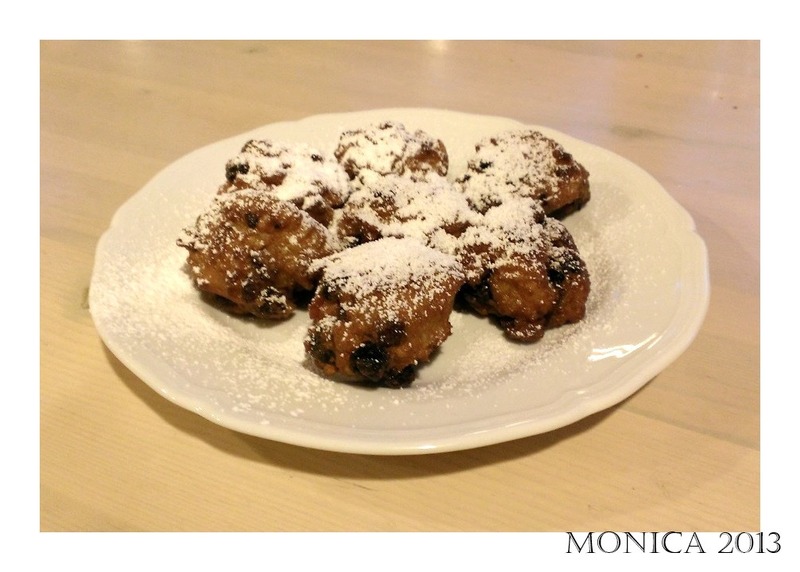 Meanwhile, either use a deep fryer or fill a pan with enough canola oil to completely submerge the frittelle when frying them. 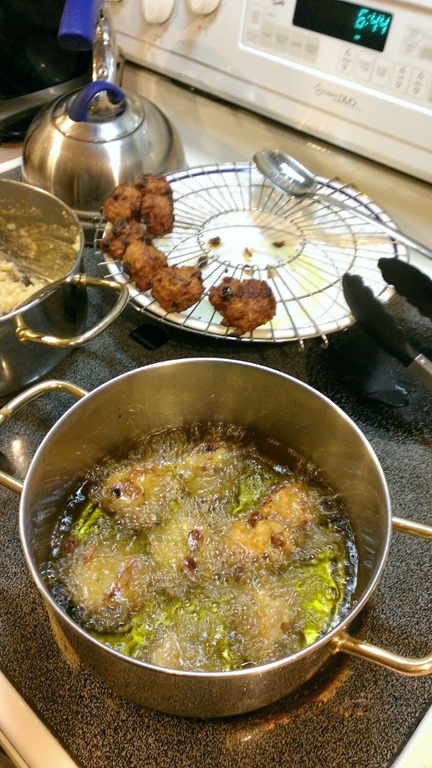 Fry the frittelle in small batches and remove from oil when they are golden-brown. Let them cool on a rake. Finally, serve dusted with the powdered sugar.